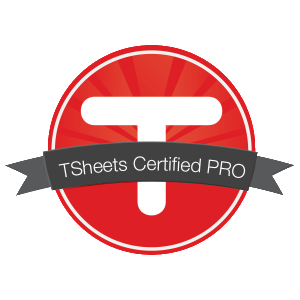 TSheets is the most versatile time tracking solution on the market. It allows for tracking time by jobs and projects, making it perfect to manage time. It fully integrates with QuickBooks Desktop and QuickBooks Online to keep your bookkeeping consistent. It also allows you to export approved timesheets and import into QuickBooks for quick and easy payroll. This way, you can keep customers, jobs, classes, service items, and employees consistent. Contact us today to get started! 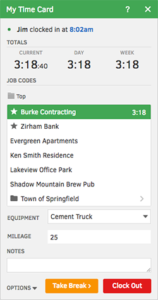 TSheets has several options on how to clock in and clock out on the go. iPhone and Android apps have sleek interfaces that make time tracking easier than ever. 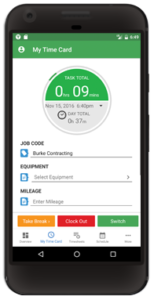 The TSheets Crew App gives the ability to group employees into crews and clock them all in or out at once. Additionally, employees can clock in and out via text, dialing in, and even Twitter. Track accrued or assigned Paid Time Off. Customize PTO categories and keep track of what is used and what is left. Track time in several different formats. 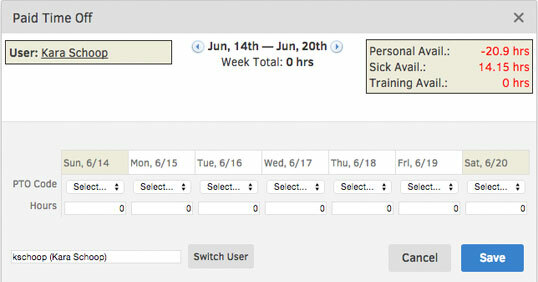 The online punch time card allows employees to punch in and out and track hours in real time to avoid discrepancies. Click and drag the Time Slider for a more visually appealing way to enter or manage time. The manual time card allows employees to track time in a spreadsheet format. 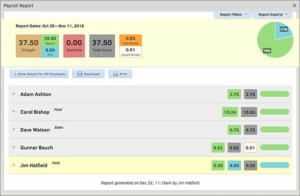 With the Who’s Working window, managers and employees can view who is on the clock at any time. Employees can submit completed timesheets to managers with just a click of a button. Managers can review employee times and approve or reject all at once or one at a time.